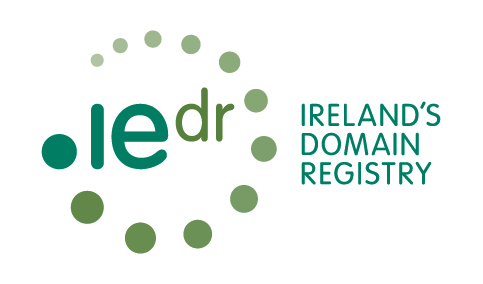 Kildare Web Services is an Accredited Registrar of the Irish Domain Registry for the registration of .IE domains. Irish Domain Registry procedures ensure that you are who you say you are. Other domain types may be registered by anybody with no proof of a claim to the name. Thousands of disputes occur over .com domain names, compared to only a handful of Irish domains. .IE is the world's second safest domain, with far fewer occurrences of cybercrime and cybersquatting. google.ie boosts the rankings of Irish domains in results listings, making your website easier to find than other domains. How do I Register an Irish Domain? Contact us today. If you can provide proof of your Irish connection and supply supporting documentation for your claim to the name, we will register your domain in your name. Vat 23% extra. DNS Fees may apply.